Posted June 26th, 2009 by Jordana Mah & filed under Uncategorized. Looking for something to do this summer? Summer is alive with the many rich cultural festivals and events happening in the city. One summer tradition is the Caribbean Days Festival, happening this coming July 25-26! 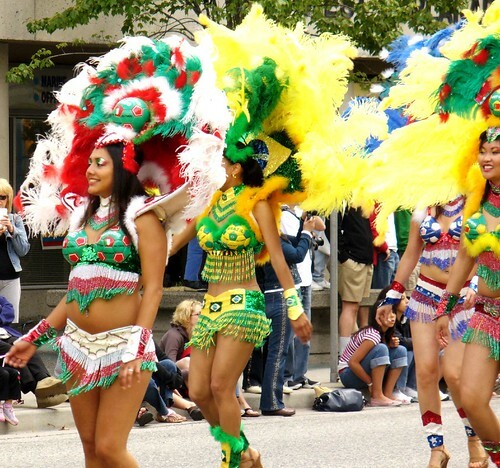 Taking place in North Vancouver’s Waterfront Park, this festival is put on by the Trinidad & Tobago Cultural Society of BC as a celebration of Caribbean, food, music, and culture. Check out the pre-festival boat cruise on July 19th, or participate in the main event starting on July 25th. The festival features a street parade, a variety of local food vendors (definitely check out the fried flying fish, always a crowd favourite), and an outdoor music festival showcasing a variety of Soca, Reggae, Calypso, Latin, African and other international sounds!